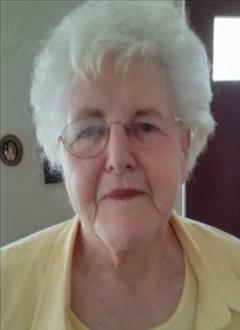 MarJean Martin Rudolph, 82, passed away peacefully on March 27, 2019 where she resided at Brookdale Senior Living in Chubbuck, Idaho. She was born on June 19, 1936 in Idaho Falls, Idaho to John Gamwell and Margaret Pope Gamwell. She also had two older brothers from this marriage, John Thomas Stephensen and Frank Eugene Stephensen. Their marriage ended in divorce when MarJean was still very young. In 1938 her mother met and married Clifton Quinn Stephensen. He adopted her and her brothers and she grew up in Shelley, Idaho. MarJean married Francis Lamont Lawrence in 1955. Mont was in the military and stationed in Yuma, Arizona. There they had a daughter, Sharon LaVon Lawrence, born in 1957. Their marriage ended in divorce. MarJean later met and married Dorsey Berry Martin, in 1967. They were sealed for time and all eternity in the Idaho Falls temple in the Church of Jesus Christ of Latter-Day Saints, and Dorsey adopted Sharon. MarJean loved Dorsey’s two children, Gary Martin and Diane Martin Simmons. Dorsey passed away in 1988. After that she moved forward with her life, in 1989 she went to college to learn computer programming. Later she would marry Otto Rudolph, but he passed away three years later. MarJean was very talented and enjoyed painting, gardening, crafting, quilting and crocheting and she even wrote a book. MarJean was preceded in death by her mother, Margaret Bascom, her father, Clifton Quinn Stephensen, her husbands, Dorsey Berry Martin and Otto Rudolph, her brothers John Thomas Stephensen and Frank Eugene Stephensen. She is survived by her daughter Sharon Lavon Holden of MacKay, Idaho, and her grandson Joshua Quinn (Camille) Holden; her step children, Gary Martin of Kalispell, Montana and Diane (Bob) Simmons of Meridian, Idaho, and step grandchildren; Stacey Martin (Bill) Wickersham, Brett (Allison) Simmons, Nicole Simmons (Craig) Hudman, Michelle Simmons (Nate) Colt, Chandra Simmons (Jordan) Smith, and Matthew Simmons. She loved her 32 great grandchildren and 1 great, great grandchild. She also had a special relationship with and loved her nieces and nephews. A visitation viewing will be held at Cornelison Funeral Home, 431 N. 15th Ave., Pocatello, ID on Saturday, April 6th at 11:00 am, with a graveside committal following at Restlawn Memorial Gardens, 2864 S. 5th Ave., Pocatello, ID.